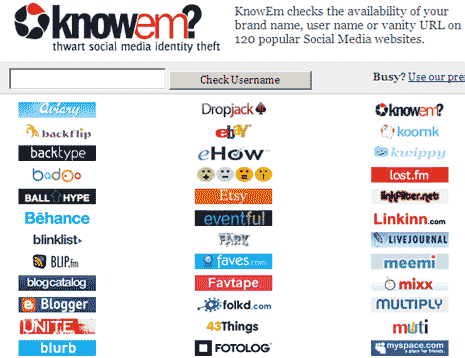 KnowEm website makes it easy to check if a specific username or vanity URL is available on different social media websites or not. Just enter any username and hit the check username button. It will check for that specific username on top 120 popular social media websites and indicate the status as: available or available. Check username and get it automatically registered on popular 120 social media websites at KnowEm – perfect for people wanting to grab specific username real quick without too much effort throughout the web. Google on Twitter, wanna follow?